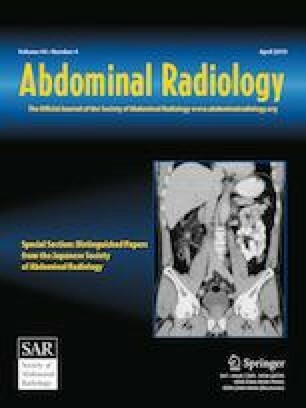 Elucidating the association between pancreatic ductal anomalies and chronic asymptomatic pancreatic hyperenzymemia using magnetic resonance cholangiopancreatography. We conducted a single-center, retrospective, case–control study. The healthy community group comprised 554 subjects who participated in a paid, whole-body health checkup program. The patient group comprised 14 subjects with idiopathic pancreatic hyperamylasemia or hyperlipasemia. All subjects underwent magnetic resonance cholangiopancreatography. The clinical features and incidence rates of pancreatic ductal anomalies were then compared between the groups. Compared to the healthy community group, the patient group was significantly more likely to be ≥ age 65 (71.4% of patient group vs. 22.1% of healthy community group), have a history of diabetes mellitus (21.4% vs. 5.4%) or hypertension (35.7% vs. 11.4%), and to have pancreas divisum (21.4% vs. 2.7%), meandering main pancreatic duct (21.4% vs. 4.1%), Wirsungocele (14.3% vs. 1.1%), or dilated main pancreatic duct (14.3% vs. 2.3%). Multivariate analysis found that age ≥ 65 (odds ratio 8.76), presence of pancreas divisum (odds ratio 13.2), meandering main pancreatic duct (odds ratio 8.95), and Wirsungocele (odds ratio 17.6) were independent factors significantly associated with chronic asymptomatic pancreatic hyperenzymemia. Pancreas divisum, meandering main pancreatic duct, and Wirsungocele were independently associated with chronic asymptomatic pancreatic hyperenzymemia. This work was supported by JSPS KAKENHI Grant Number JP25870148. Our Institutional Review Board approved this STROBE-compliant single-center retrospective case–control study. Our Institutional Review Board waived informed consent for this STROBE-compliant single-center retrospective case–control study. We confirm that this study is STROBE-compliant.